Some people may complain about how tech-centred this generation has become. It’s nearly impossible to find young people who aren’t “hooked” to their smart phones and media playing devices or tablet PCs, surfing the net, listening to music, watching videos and playing games. However, today’s techies claim that, with technology, they have better amusement and make smarter use of their time — it certainly beats staring into space, musing lazily about nothing in particular. That is essentially the goal of digital technology – to provide people the means to connect with others, accessible information in a time-effective manner, and amusement, especially during dull moments. Since most people nowadays are so consumed with work, sometimes, it’s just nice to be able to casually learn something new and have fun at the same time. When it comes to fun, the best brains that develop digital technologies never fail to produce apps that tickle the fancy of many – everything from games to humorous programmes just to inject a bit more happiness to life, such as that iPhone app that allows you to place your own pictures on bad yearbook photos! Comedienne Maya Rudolph even describes the app as “endless fun…like a gift that keeps on giving,” and that’s not the only one available out there. In recent years, more and more apps have tapped into augmented reality technology and it has taken online shopping and gaming to an entirely different level of efficacy and enjoyment. 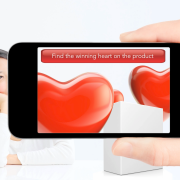 Augmented reality developers who come up with apps for businesses have managed to further improve customers’ shopping experience in such a way that products for sale can automatically become more relevant and appealing. And when it comes to gaming, fiction can appear to be complete reality with an AR app. Take, for example, this popular Zombie game app; it’s so real, it’s perfect. You’re waiting for the bus to arrive, you hold your smart phone for a real time camera view of the neighbourhood where you’re at, and suddenly zombies manifest in your view of the area. It’s like seeing ghosts — you’re the only one who sees them in the midst of all the activity in your surroundings, and you’re the only one who can kill them off entirely. You shoot at them furiously to save the unsuspecting people around! It’s living out a fantasy; you know it’s not real, but it is through your phone. There are less morbid games, of course, but the lure of such apps is they turn your fantasy into the closest thing to actual reality — augmented reality. It’s clearly awesome that technology has developed so much and made many of man’s earlier visions into reality. It will only get better, and perhaps, in a matter of a few years, the great minds that have developed augmented reality can finally create actual reality – everybody would be living like The Jetsons, and with a mobile device app, anything can be possible.